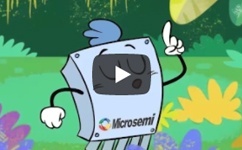 Microsemi power-over-Ethernet switches, midspans and injectors offer leading solutions for any PoE situation. Discover how PoE goes outdoor. Download the new SFP/CWDM catalogue remapped into new families to make it easier to find the right SFPs. 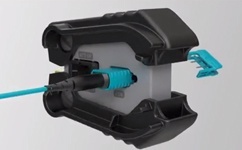 Corning's MTP connector family has a new addition: the MTP PRO connector to make it easy to perform polarity and pin reconfiguration. See how. The new high-performance fiber solutions flyer introduces you to the Panduit key fiber solution portfolio. 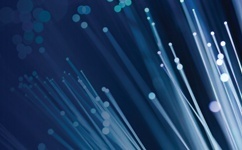 OFS and CommScope have entered into a new eight-year partnership to help ensure the availability of optical fiber supply to CommScope customers. 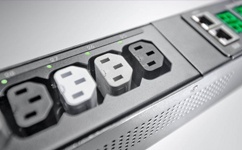 High-power densities and reduced cabinet space require innovative products like Server Technology’s highest possible outlet density in a network-connected PDU. iX7 Controller for Raritan Intelligent PDUs The Raritan IX7 takes the PDU to new heights with higher efficiency processing power, larger memory pool and more to discover. AXIS Launches Cost-Effective Thermal Cameras to Aid Incident Response and Intrusion Detection While Protecting Privacy The cost-effective thermal network camera P1280-E delivers thermal imaging capabilities to small and mid-size systems with budget limitations. How Bosch Secures the Cameras Bosch is driving a systematic approach to maximize data security, considering physical safety and cybersecurity simultaneously. 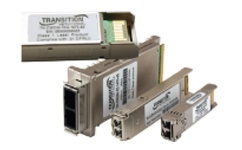 Prolabs 100G Green Transceivers - 30% Less Power Consumption ProLabs launch the new range of 100G Green Transceivers with 100% performance and 30% less power consumption to keep data centres cool. 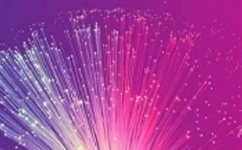 Necessities for Network Convergence in 2018 and Beyond The ubiquitous need for bandwidth in our Internet-centric world has driven landline as well as wireless networks to network convergence. TDSi to Launch New GARDiS Software Solution at Intersec 2018 TDSi will be showcasing their broad range of integration capabilities with other security systems at Intersec.